Donald Martin Zugay, 85 of Delavan, WI, passed away on Monday, October 15, 2018 at Aurora Lakeland Medical Center. He was born May 23, 1933 in Chicago, IL, the son of the late Martin and Jeanette (Samiec) Zugay. Don served in the United States Navy. Don worked as an insurance agent with Prudential Life Insurance for 28 years. He was united in marriage to Carol A. Moe on July 14, 2006 in Elkhorn, WI. 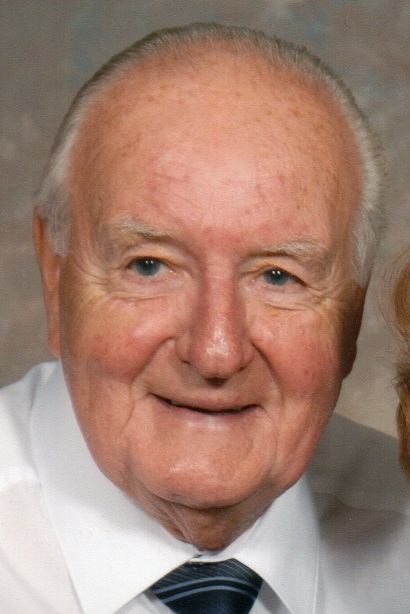 Don was an active member and served as an usher at St. Patrick’s Catholic Church in Elkhorn, WI. He was a member of the Knights of Columbus. Don had a profound love for his family. He was a history buff, enjoyed watching John Wayne movies, dancing polka and boating. Don also enjoyed playing pool with his buddies in the pool league. Don will be missed dearly by his wife of 12 years, Carol, four children: Joanne (Joe) Majchrowicz of Colville, WA, Debera (Guillermo) Alva of Lockport, IL, Mark (Laura) Zugay of Delavan, WI and Denise (Kenneth) Moreno of Oak View, CA, fourteen grandchildren, six great-grandchildren and sister, Jeannine (Bernie) Boyland of Naperville, IL. He is preceded in death by his loving wife of 46 years, Bernadine Zugay, brother, Richard (Florence) Zugay and two step sons: baby Henry Scott and George Erwin Johnson. Funeral Mass will be 9:00AM on Friday, October 19, 2018 at St. Patrick’s Catholic Church, 107 W Walworth St. Elkhorn, WI. Visitation will be 3:00 to 7:00PM on Thursday, October 18, 2018 at Haase-Lockwood & Associates Funeral Homes and Crematory, 730 N Wisconsin St. Elkhorn, WI. Interment will be 12:30PM on Friday, October 19, 2018 at Resurrection Cemetery, 7201 Archer Rd. Justice, IL 60458. In lieu of flowers, memorials may be directed to St. Jude’s Children’s Hospitals or American Cancer Society. Online guest book at www.haaselockwoodfhs.com.